Hello I'm back with a cute image from Gerda Steiner. This is the digi for this months progressive challenge and I finally managed to get it coloured up! Isn't it just the cutest!!! Coloured with Promarkers (I love tabby cats!) 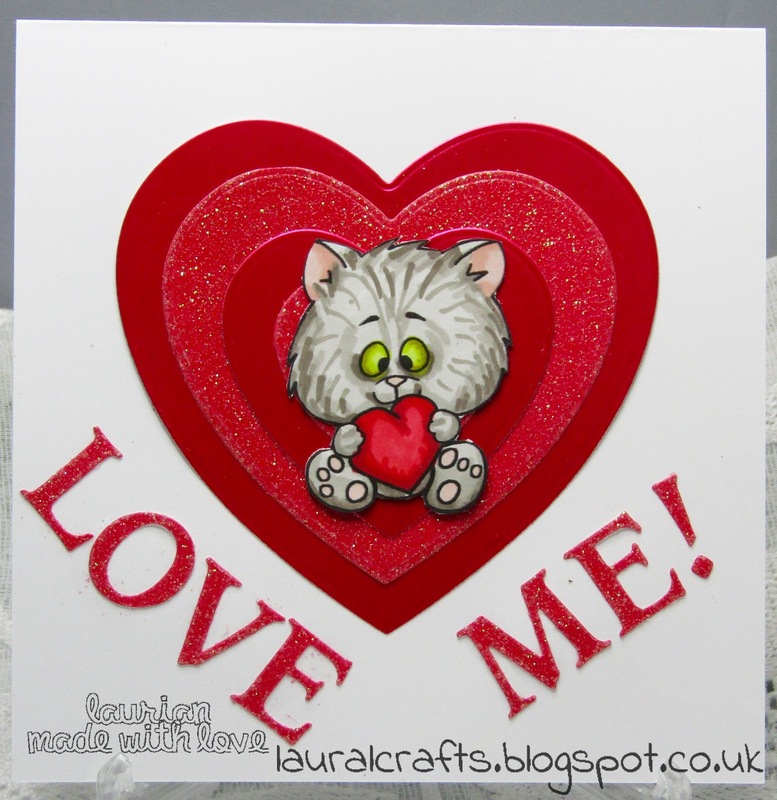 Hearts are cut from mirror card and glitter card as are the letters! 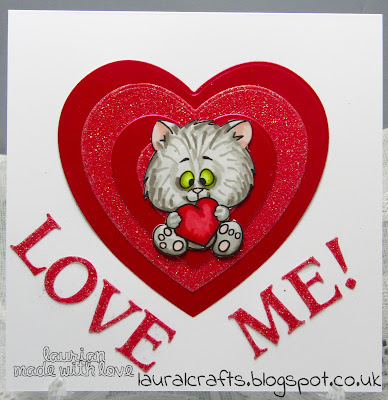 To join in this challenge go to gsd-stamps.com and sign up to get these cute images pop into your inbox each month!